The goal of this book is to open the minds of its readers to a dense world of reason behind the anarchy of their affections. With mind tingling questions and thought provoking answers to some of the real-world challenges men and women face while courting one another, my intent is to change the way people date as a whole. Learn what you are up against and get into the minds of some of the most challenging men in the dating world. This is a woman's chance to take a sneak peek into what men think while we date them and the lengths some of us go to protect our thoughts. While all men will not agree with me, some will find themselves in this book between a rock and a hard place when faced with answering the questions your now well-informed mate will bring to the table. I want women to open their minds to the men they date and not their legs as in the past because you are worth more than you allow yourself to think and without this knowledge, you may continue to wonder "Why me?" or "Why do I always find the wrong guy?" As a man I want to give a few trade secrets away and set the pace for the next book in my series in an attempt to keep my fellow men on their toes. I only ask that you give it a look over and read for an understanding. 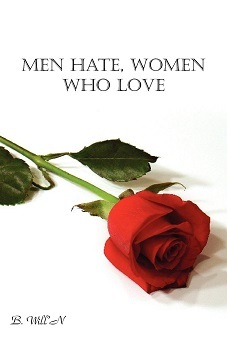 While not all men are the same, you may not find the man you date in this book. If that is the case, then wonderful! You have a keeper from the start. Be blessed and enjoy what will be one of many more to come from the B Will'N 2 Sacrifice family!